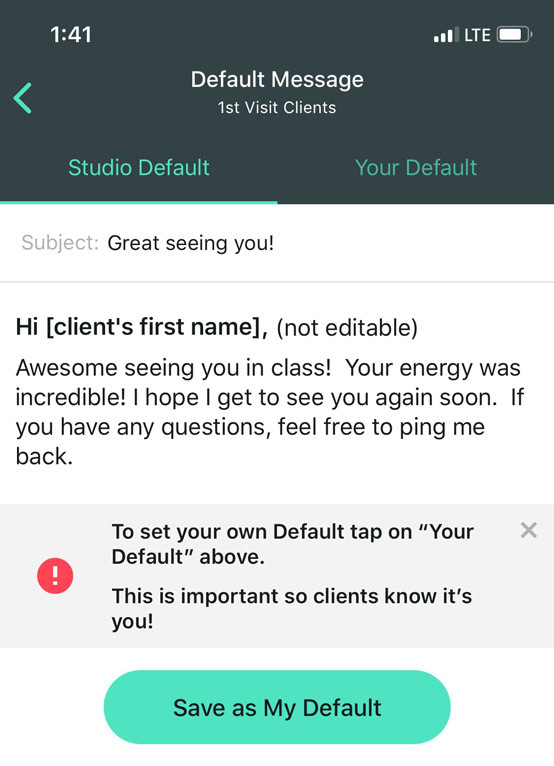 From the Settings Gear in the upper right corner of your app, select Change Follow-up Message Settings --> Modify Your Default Subject & Message, and you will see the types of clients your studio has pre-selected for you to be able to follow-up with. Select the default message you would like to change. 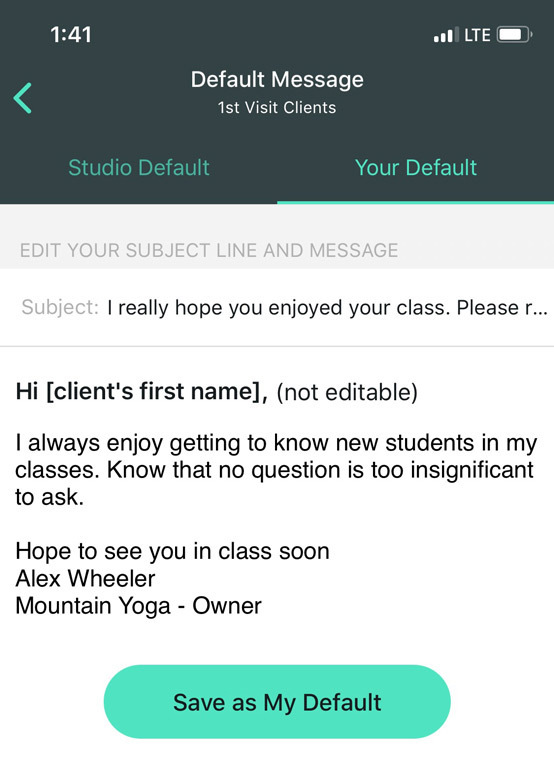 Before being prompted to write your default message, we'll show you an example message written by your studio owner. Toggle over to YOUR DEFAULT to craft your own. Pro Tip: This is the message that your clients receive after class. Be sure you infuse your personality, voice and tone so that the message feels genuine, and like it's coming from you! We recommend keeping it positive and short! Be sure to press Save as My Default at the bottom of the screen.